Since 2010, after finishing the Crawler kit, I’m working on a 1/96 paper model kit of LUT 1. LUT 1 was the launch platform of the Apollo 11 mission, and the model will represent the stage as it looked at the day of the launch. This is not trivial because the color scheme and the equipment changed during the life time of LUT 1. Based on the original NASA drawings and hundreds of pictures, also this kit will give you a reliable reference of the historic LUT, and hence has scientific and educational implications, too. The three LUTs (Launch Umbilical Tower) were built during 1963 - 1964 by Ingalls Iron Works, while the service arms were constructed by Hayes International and added 1965. 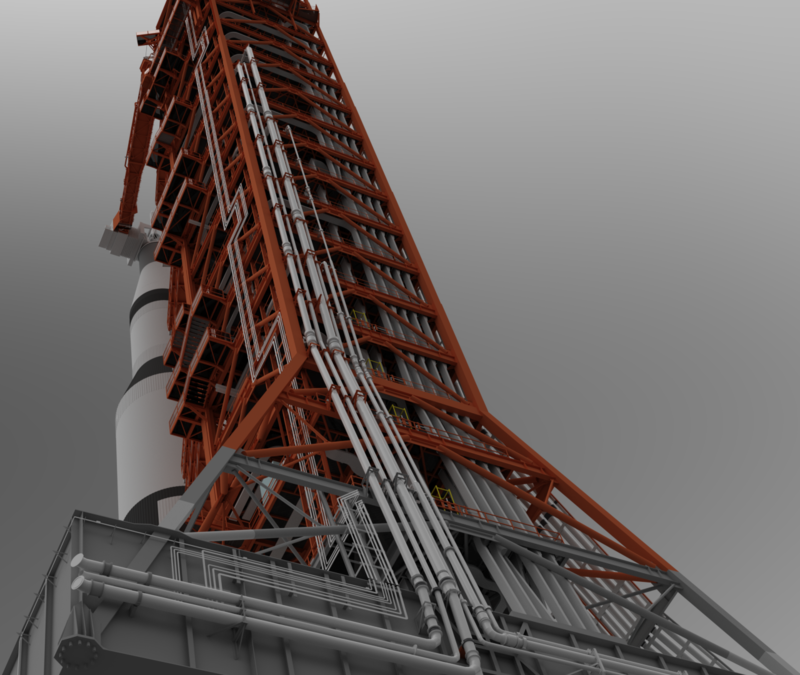 LUT 1 (or ML-1, for Mobile Launcher 1) was first used for the launch of Apollo 4 in 1967, the (unmanned) maiden flight of the Saturn V and the first launch from Launch Pad 39. The history making career of LUT 1 continued 1968 with the launch of Apollo 8 - the first manned flight of a Saturn V and the first manned flight to the moon's orbit. On 16th July 1969, Apollo 11 launched from LUT 1 for the first manned lunar landing. This was the last launch of a Saturn V from LUT 1. 1973 NASA decided to use Launch Pad 39 also for the smaller Saturn 1B. LUT 1 was upgraded with a so called ‘Milkstool’ thus enabling the launch of the Saturn 1B and Saturn V from the same structure. Three Skylab missions were launched, and also the last launch of a Saturn rocket and Apollo spacecraft ever, the Apollo-Soyuz rendezvous, took place from LUT 1. After the end of the Apollo program, the LUTs were dismantled. 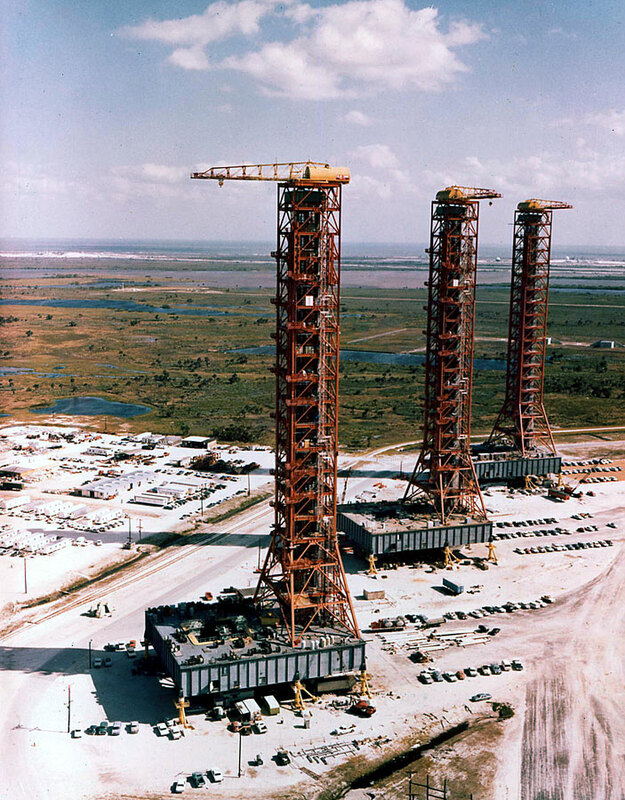 The towers were removed and the platforms - now called MLP for Mobile Launch Platform - used for the space shuttle program. The tower remains of LUT 1 were stored and visible for the public at the ‘bone yard’ at KSC until 2004, when they finally were scrapped for environmental reasons. The ambitious aim to bring an accurate model of LUT 1 into paper will lead to another monster of parts. Be prepared for a number of parts beyond 20,000. The 3D design is finished for about 70%, and hopefully will be completed by the end of the year. Also, the layout of the kit is subject to several test. So I have just finished a test build of service arm #9, that introduces a new way for building instructions and also my first experience with laser cut parts. To give you an idea how the oncoming LUT model will be, I’ve decided to publish a kit of service arm #9 as free download - please look at the blog for details.